A custody dispute with the other parent of your child can be emotional, stressful, and expensive. Children are the most important part of a parent’s life. Similarly, parents are the most important part of a child’s life. For this reason, both parents and their children share a fundamental and constitutionally protected right to enjoy each other’s love and companionship. Consistent with these rights, New Jersey family law recognizes and encourages a child right to develop and maintain a close relationship with both of his or her parents. Our firm’s custody lawyers work with our clients to reduce the emotional impact of a custody dispute on parents and children while minimizing the costs typically associated with a custody dispute. A cornerstone of our representation involves explaining New Jersey custody law to our clients so we can work together to develop a strategy to fight for their parental rights and the rights of their children. To achieve this purpose, we invite you to read the information below and welcome you to contact our office to further discuss the application of these principles to your specific custody arrangement. Currently, custody under New Jersey Family Law has two essential components: legal custody and physical custody. Both legal and physical custody encompass different parental rights and responsibilities. Legal custody is the responsibility and authority to make major decisions regarding the child’s welfare. New Jersey Courts can award parents joint legal custody of a child to both parents or sole legal custody to one parent. Joint legal custody means both parents share the right to make all major decisions concerning their child. On the other hand, a parent with sole legal custody has the right to make all major decisions concerning the child without regard to the preference or opinion of the child’s other parent. Physical custody is a parent’s right to day-to-day contact with the child for the purpose of strengthening a true parent-child relationship. Unlike legal custody, physical custody only allows a parent to make minor day-to-day decisions related to the care of the child. New Jersey Family Courts can award joint physical custody of a child to both parents or sole physical custody of a child to one parent with liberal visitation to the other parent. Joint physical custody arrangements are rare. Most custody arrangements involve an award of sole physical custody of a child to one parent, the parent of primary residence or custodial parent, and the other parent, the parent of alternate residence or non-custodial parent, has a fixed parenting time or visitation schedule with the child. In a custody dispute, the court conducts a hearing to determine the best interest of the child. At a custody hearing, parents both testify and offer evidence on each of the factors above so the court can enter a custody order based on the best interest of the child. Parents can establish a custody arrangement through agreement or court order. Absent an agreement, a parent must file an application with the Superior Court of New Jersey Family Division to establish a legal and physical custody arrangement for their child(ren). In this situation, a court may refer the parents to mediation or conduct a custody trial to consider evidence and testimony on the best interest of the child. The Family Court judge may interview a child of sufficient age for the purpose of assessing the child’s preference although the child’s preference. 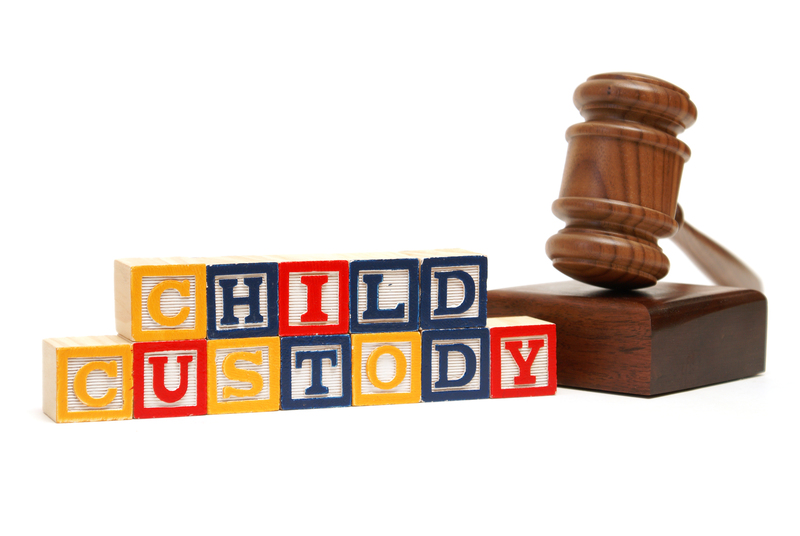 At the end of the custody trial, the court will analyze the best interest of the child factors based on the evidence and enter an order awarding legal or physical custody to one or both parents. A party can modify custody through agreement or court order. Absent an agreement, however, a parent must file an application to change legal or physical custody with the Superior Court of New Jersey Family Division. A parent requesting the modification of a custody order or agreement must establish a substantial change in circumstances affecting the welfare of the child. A parent cannot modify a custody arrangement simply because the parent does not like the arrangement in place. This substantial change in circumstance standard for the modification of custody requires the parent seeking the change to establish the current court ordered custody arrangement, a change in circumstances since the entry of the governing custody order or agreement, and the new circumstances adverse effect on the child’s best interest. Assuming a parent establishes a substantial change in circumstance warranting the modification of a governing custody order, the court a court may refer the parents to mediation or conduct a custody trial to consider evidence and testimony on the best interest of the child. The Drake Law Firm custody lawyers advocate on behalf of our clients and their children to establish or modify custody arrangements consistent with our client’s interests and the best interests of their children. If you are involved in a custody dispute, please submit a case evaluation or contact our office at (609) 645-7406 to schedule an appointment to speak with a custody attorney who will protect your rights as a parent and the rights of your children. We have office locations in Atlantic County as well as Burlington County. From these offices, we advocate on behalf of clients residing in Absecon, Brigantine, Egg Harbor City, Egg Harbor Township, Galloway, Hammonton, Linwood, Longport, Margate, Mullica, Northfield, Port Republic, Somers Point, Ventnor, Cherry Hill, Collingswood, Gibbsboro, Haddonfield, Medford, Marlton, Shamong, Tabernacle, Mt. Laurel, and many other surrounding areas.